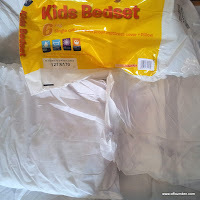 We were recently sent a Kids Bedset from The Bedding Company. 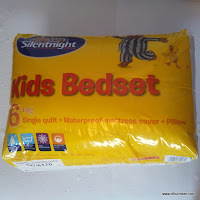 It is a bedset made by Silentnight and includes a single quilt, waterproof mattress cover and pillow. I made a mistake and assumed it was for a toddler bed because it says that it is for your child's first bed. However, it is for a single bed. 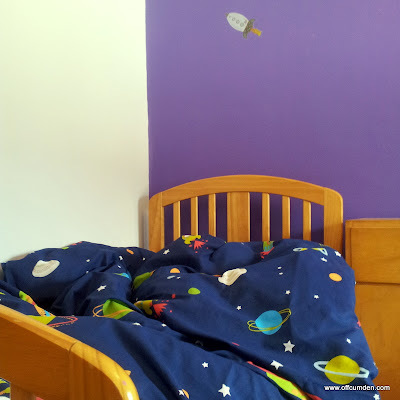 My son isn't quite into a single bed but, once we had bought a duvet cover, we managed to pop it on his toddler bed, with the end of the duvet tucked in at the end of his bed. 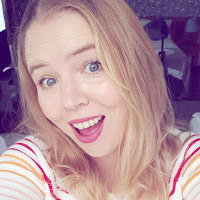 In fact, I wish we had had this duvet throughout the winter because, at 6 tog, it is much warmer than his old duvet cover and I imagine it would have kept him nice and toasty! Perfect for your child's first bed, this fantastic value Silentnight Kids Bedset comes complete with every you need to get your child on the right track to enjoying many a long and restful night's sleep. Bedset comprises a soft and comfy 6 tog Duvet, waterproof mattress cover and soft pillow. Duvet and Pillow feature a soft Polycotton cover and 100% Hollowfibre filling. Mattress protector features a durable PE coated cover and elasticated skirt for a secure fit. 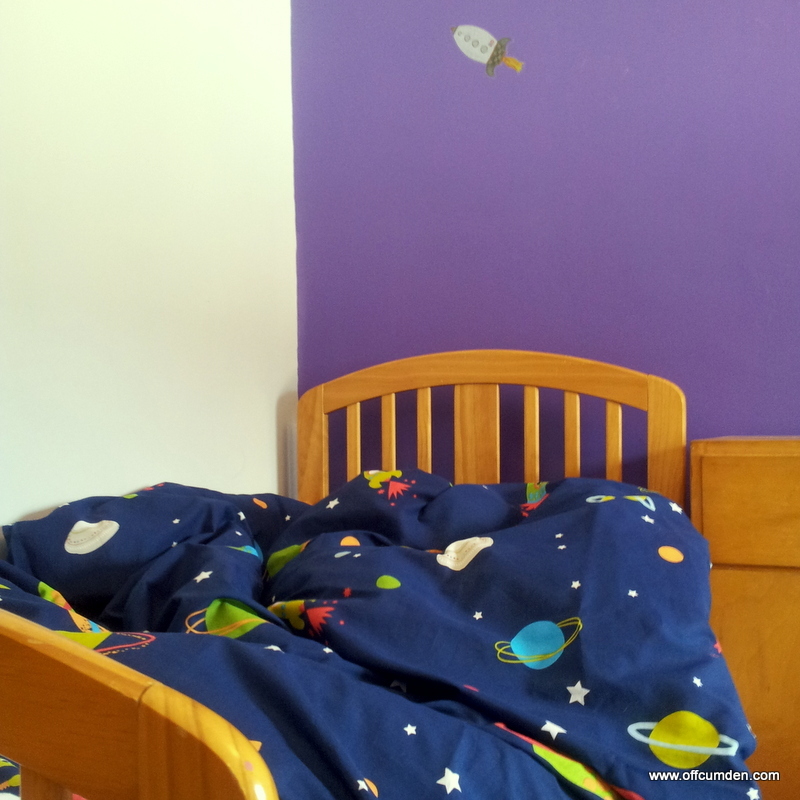 Perfect for a single bed or a larger toddler bed. My son has bad eczema so it is great that the set is non-allergenic. The waterproof mattress cover is quite noisy when my son turns over on it. However, I am sure that this would be the case with most waterproof mattress covers. I would definitely buy this set. It is very good quality and a great price for the amount of things you get. 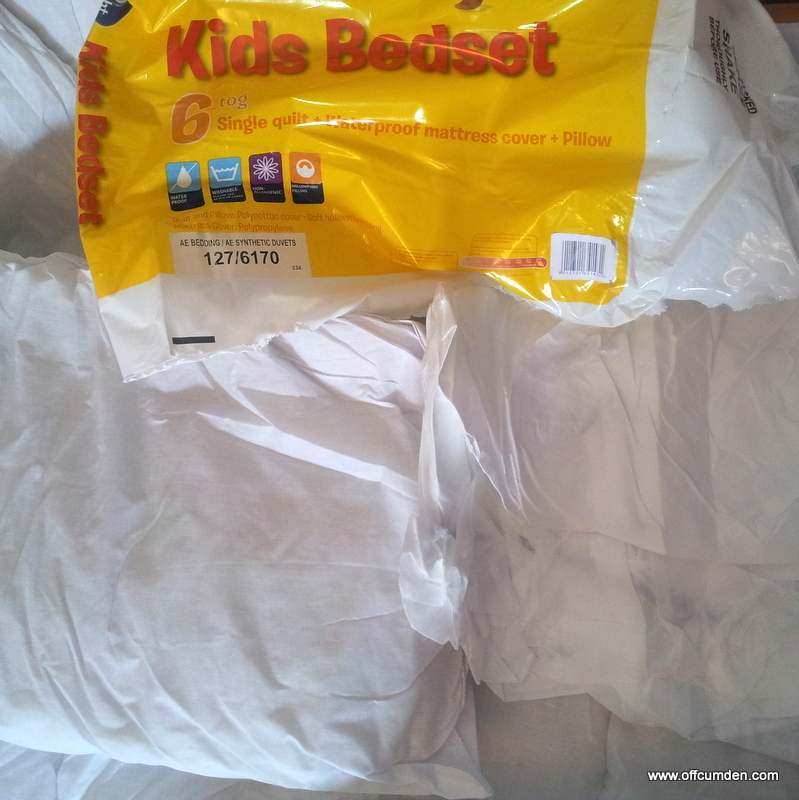 To view the bedding set we were sent, click here. Disclaimer: I was sent this set to review and was allowed to keep it. This in no way had any impact on my review, which is honest and impartial.